Nous ne sommes pas des Américainspar , Serge Thion - David Duke´s letter to the President of the United States -To President Bush: halt funding for Israel: We must cut off the source of terrorism -Jews and Crime - Radio Islam - Ahmed Rami - Palestine - Judaism - Zionism - America supported the Israeli ethnic cleansing of 700,000 Palestinians - human rights! 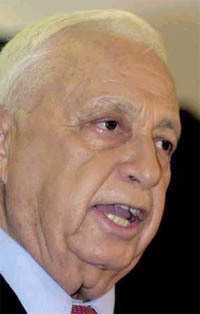 America is accused of supporting terrorism for backing Israel, to killed 40,000 Lebanese - How the President of the United States could dinein the White House with Israel Sharon, a man with a proven history of massacring civilians, and who even Israel held responsible for the cold-blooded murder of 2000 people at the Sabra and Shatila camps in Lebanon. America is also called a terrorist state for causing the death of more than 500,000 Iraqi children.